#59 on the #101dram Charitable Challenge is The Macallan 21yo "Fine Oak", a 43% ABV vatting of The Macallan aged in three different cask types (Spanish sherry-seasoned oak, American sherry-seasoned oak and American bourbon-seasoned oak). A departure from The Macallan's typical 100% sherry-aged house style, this range no doubt came about (in 2004) due to the relative high costs of using 100% sherry casks (oh, and the need for a "lighter style Macallan" I guess..). It's interesting to see the impact supply/demand has on various distilleries and their ranges - something that is particularly noticeable with a distillery the size of The Macallan. You only need to look at the rise of NAS whiskies (and The Macallan's own pioneering in this territory, which we covered extensively last year) to see the way the industry is being shaped. With that said, I included this whisky on the list as I'd never been a big fan of The Macallan in the past (both sherried and Fine Oak ranges, right up to 18yo). I thought the 21yo may change my opinion (as the 1824 Series did later). So, did it? Nose: Flint, very slight hints of smoke, passionfruit. Palate: Smoke - surprisingly a lot of it. Citrus and lemon zest too. Finish: Chalky, long, smokey, with hints of grapefruit. Rating (on my very non-scientific scale): 93/100. I really enjoyed this (and would have liked to have more than the 30mL sample I had, but not at $330AUD/bottle...) It didn't have the typical Macallan notes I don't normally like, and had plenty of complexity, with "smoky fruitiness" - something I don't often come across. 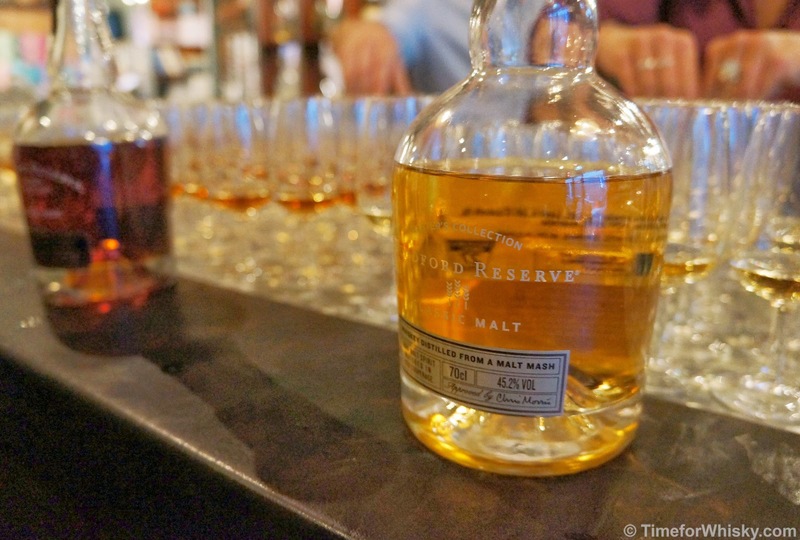 It was all the way back in November 2012 when we first blogged about Shirt Bar's Scotch Club (which, like this post, was all about Woodford Reserve and nothing to do with Scotch at all!) and when we first met Stuart Reeves, Brown-Forman Australia's NSW ambassador (whose immense knowledge of whiskey we've come to appreciate and whose friendship we've come to enjoy). 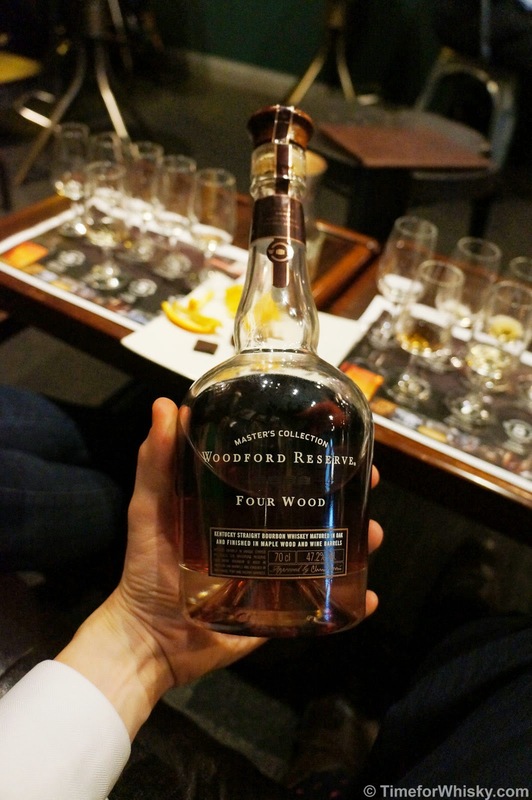 Fast forward to March 2014, and Stuart was back at Shirt Bar, again spreading the good word of Woodford Reserve. ...not including the single-nip Woodford Old Fashioned to kick off the night, and the take-home DIY Old Fashioned bags (complete with 50mL Woodford Reserve minis, 3.5mL Angostura bitters minis and swizzle sticks - very handy on a recent weekend trip up the coast)! Produced by taking regular Distiller's Select at 7-8 years old, cutting it down to 55%, dividing into thirds and ageing in Maple (1yr), Sherry (6 months) and Port (6 months) casks. Nose: Rich, berries, with a slight nuttiness. Palate: Big creamy mouthfeel, definite sherry influence, but also very sweet. Definitely a Bourbon, with vanilla notes still showing through. Finish: Long, with cherries and Christmas cake. Smooth to the end. Made with 100% malted barley. Yes, a "Single Malt" from Kentucky, USA! Nose: Muted, playdough. Slightly earthy. Finish: Short to medium, with some rubbery notes. Smooth and easy drinking though. Overall: 90/100. Certainly interesting, though not a whiskey I'd choose to spend $100USD+ on. The biggest disappointment however was that we're not getting the other Single Malt ("Straight Malt") in Australia! 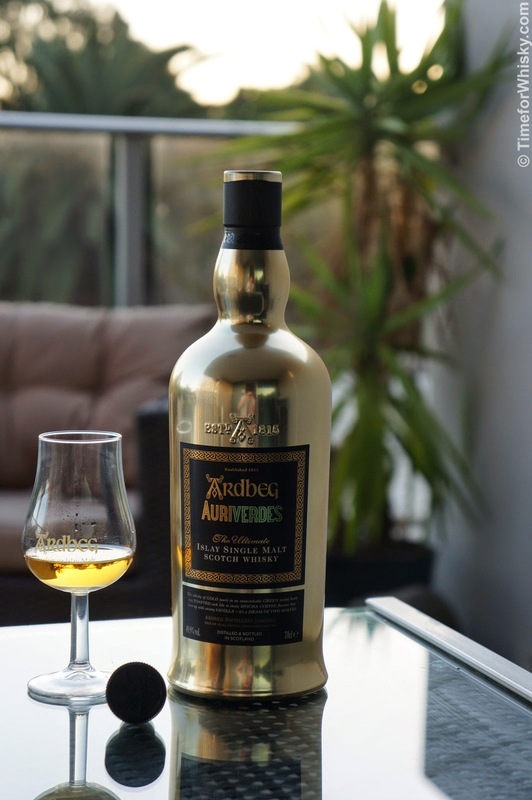 We covered the new Ardbeg 2014 special edition "Auriverdes" a few times this month, but at the time were eagerly awaiting our sample to arrive. Well last week it arrived...and what a "sample" it was! Expecting a ~50mL sample bottle, Steph and I were both blown away to discover our "sample" was in fact a full 700mL bottle of Auriverdes, in limited edition media-only (as we understand it) gold. Talk about a fantastic looking bottle. Unfortunately that afternoon we were off on a long drive up the coast, so had to wait an eager few days before opening it - which we did this evening. A bottle (and whisky) this special deserves special tasting notes, so Steph and I both sat down with it today to document our own, separate tasting notes. Like the sounds of it? 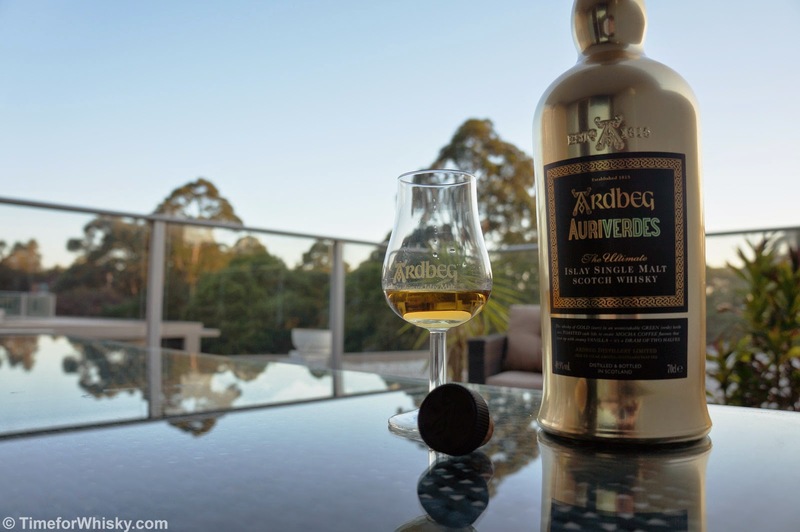 As we mentioned last week, join the committee and you could be tasting it at Ardbeg Day Australia 2014 on 31st May. Colour: Yellow gold, rich, like a light bortrytis semillon. Nose: Light smoke, pears, peaches, some apricots. Sweet, and slightly spirity. Palate: Big smoke, but also very sweet. Sugarcane, banana bread, toast. Nutty. Finish: Ashy smoke, but still sweet to the end. Medium to long finish. Rating (on my very non-scientific scale): 92/100. 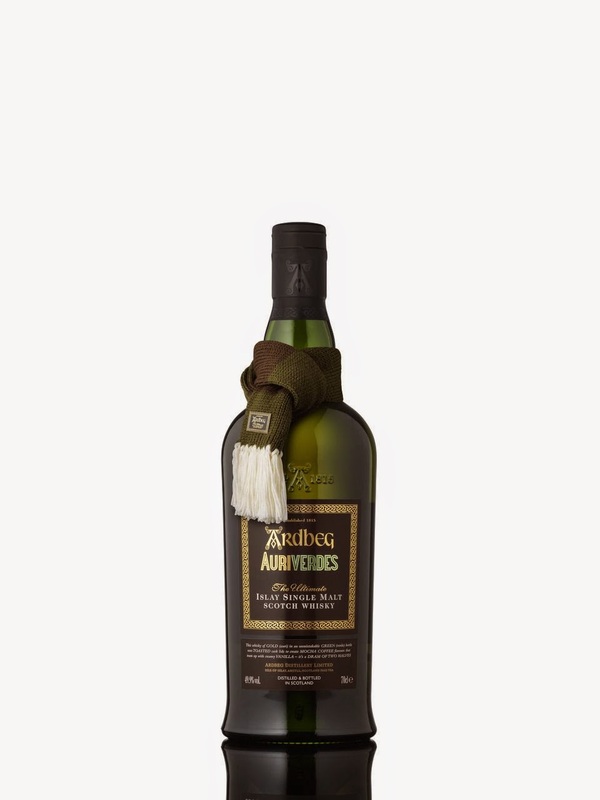 Very much an Ardbeg, but also very unique. 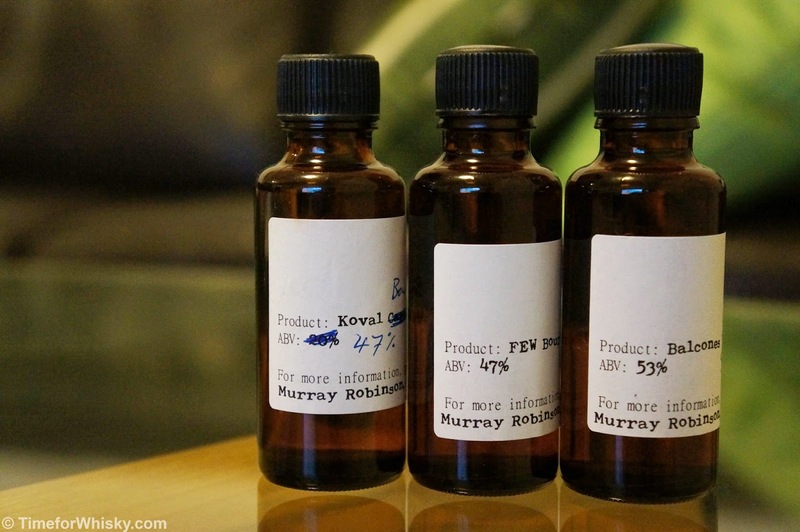 A great mix of "sweet and smoky" (or a dram of two halves as the official notes explain it). Nose: Toasty vanilla, peat smoke. 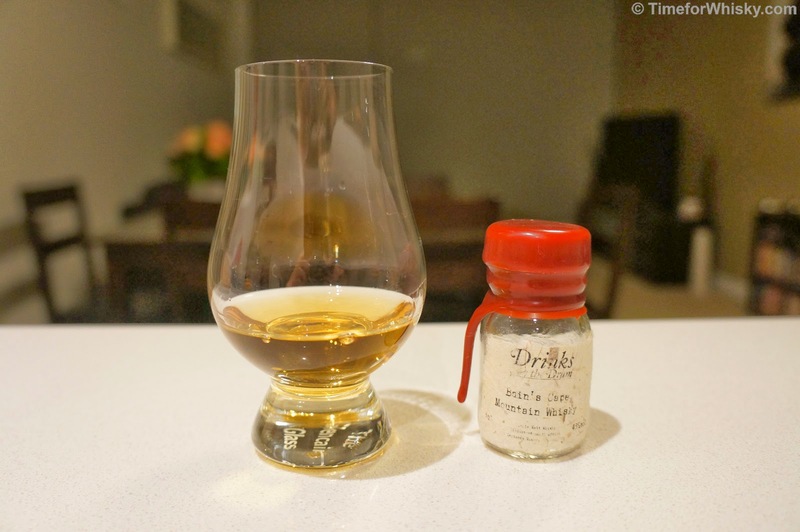 Palate: Peat smoke, slightly sweet, vanilla and caramelised bananas. Finish: Long, sweet honied smoke. Rating (on Steph's very non-scientific scale): 91/100. We've been to Sweden, Australia, France, Japan, Scotland, India & Wales as part of the #101drams challenge (well not literally)...so where to next? South Africa sounds as good a place as any! Bain's Cape Mountain Whisky, from the James Sedgwick Distillery in Wellington (South Africa) is a single grain whisky, aged for approximate 5 years in ex-Bourbon casks. It's also a #101drams whisky and sounds bloody interesting, so let's get on with the tasting shall we? Palate: Sweet, light, fruity, with some pineapple, apples, pears. Lots of tropical fruits. Incredibly smooth, with just the slightest hint of smoke after letting it sit and warm for a while. Finish: Sadly too short and with a little too much burn. Rating (on my very non-scientific scale): 92/100. Very good - lots to offer for a relatively cheap and young whisky. I'd love to see it with a longer finish, perhaps in a cask strength variety. Nose: Stewed pears, big alcohol burn, toffee apples, boiled sweets. Palate: Light - wouldn't initially pick it as 48%+. Pears, toffee, coffee grounds. Special K!? Finish: Long, with some burn. Hint of coffee. Rating (on my very non-scientific scale): 89/100. The nose is probably the highlight here - let down by the palate slightly. Overall though, an enjoyable whisky. Ask the average punter about "American whiskey" and typically the first names that spring to mind will be "Jack" and "Jimmy". While there's no denying that both "Jack" and "Jimmy" have some excellent whiskies in their respective ranges (the former through the likes of Single Barrel Jack Daniels & Sinatra Select, the latter through the the small batch range such as Basil Haydens & Booker's), there's also no denying that the landscape has changed somewhat, and there are some new, much smaller, but very serious players on the scene. Balcones. FEW Spirits, Koval. Heard of them? If you haven't, you surely will soon. America is (actually has been for a while now) experiencing something of a craft distilling revolution. Gone are the days when "American Whiskey" simply meant "Bourbon from Kentucky" (or Tennessee Whiskey from Tennessee). Nowadays excellent American Whiskey can, and does, come from all over the USA. In fact just tonight at Papa Gedes bar in Sydney I tried a "Breaking and Entering" Bourbon bottled in California (admittedly, it is a blended Bourbon made from Kentucky whiskies). Which brings us to the three whiskies featured in this post - none of which come from Kentucky or Tennessee (the FEW and Koval being from Illinois, the Balcones hailing from Texas, y'all). It's pretty hard to ignore the impact Balcones has had on the scene during its relatively short existence - from winning a slew of awards, to being called the "finest new whiskey in the world" by Forbes Magazine. Those of you who have been reading this blog for a while might remember my highly-rated tasting of Balcones Baby Blue blue-corn whisky (which I later purchased). While FEW and Koval (whose Four Grain and Rye we tasted a while ago) don't quite have the profile of Balcones yet, they could well in the future, and based on the quality of the spirits tasted below, I'd be surprised if they didn't. Nose: BIG hit of pepper. Cinnamon, cloves, vanilla. Palate: Youthful but not harsh. Pepper, spices, slightly dusty, but sweet. Mouth filling. Finish: Short and hot, without being harsh. Nose: Honey, orange peel. Intense, fantastic. Palate: Smooth, light, none of the nose's intensity. Sweet, toffee notes with oranges and oatmeal. Finish: Malty, medium to long finish with orange peel at the very end. Colour: Rich but a paler orange compared to the previous two. Nose: Sherbert, sweet, boiled lollies, but also leather! Palate: Young, but again, no harshness. Candied fruit, boiled lollies, redskins and icing sugar. Finish: Short, with vanilla the dominant characteristic. So there you have it. Three American whiskies, three incredibly different whiskies, none from Kentucky or Tennessee, but each of them incredibly good. I'll go out on a limb and say this is only the beginning of an exciting new era for American whiskey. Watch this space. 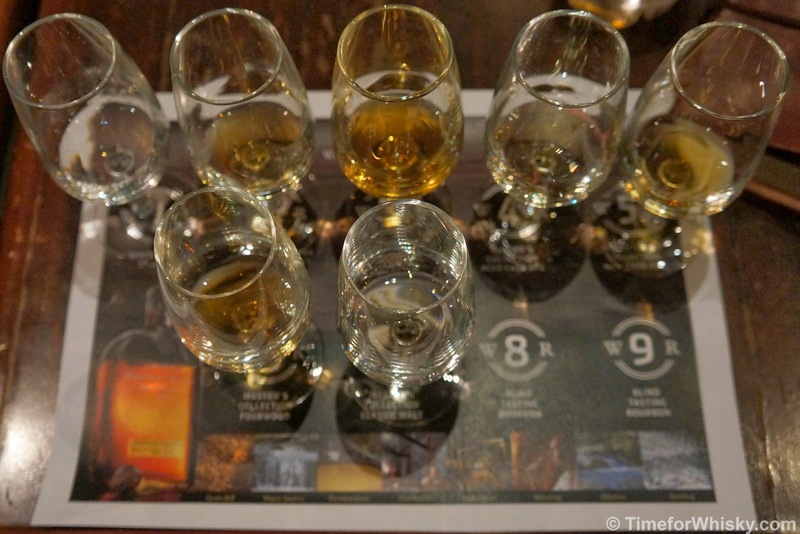 Proving as popular as the 2013 session, the tasting was run twice over two weeks, giving more of us a chance to try a great range of Nikka whiskies (and, importantly, a completely different line up to the previous tasting). The tasting was a little more rushed than we're used to, and (after a late start) was over all too quickly unfortunately. It seemed we were barely finished nosing one whisky when the next was up for tasting, and before we knew it the food (fittingly, again some tasty sushi) was served. 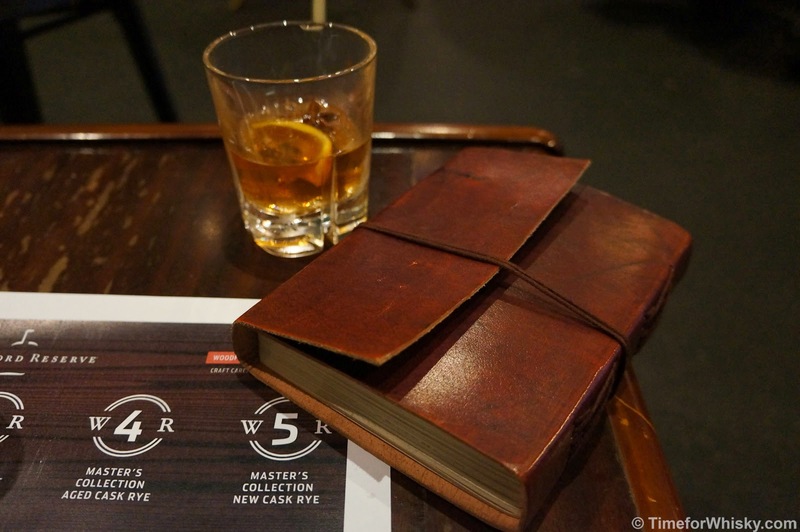 Having attended probably 13+ Scotch Clubs though (and blogged about 7 of them to date) I'm pretty confident in saying this wasn't the norm, and the session we attended more recently (Woodford Reserve) was back to the usual quality we've come to expect from Scotch Club. Not to say this was a bad session - not at all, just not the usual in-depth look at whisk(e)y we've come to expect. But no matter! 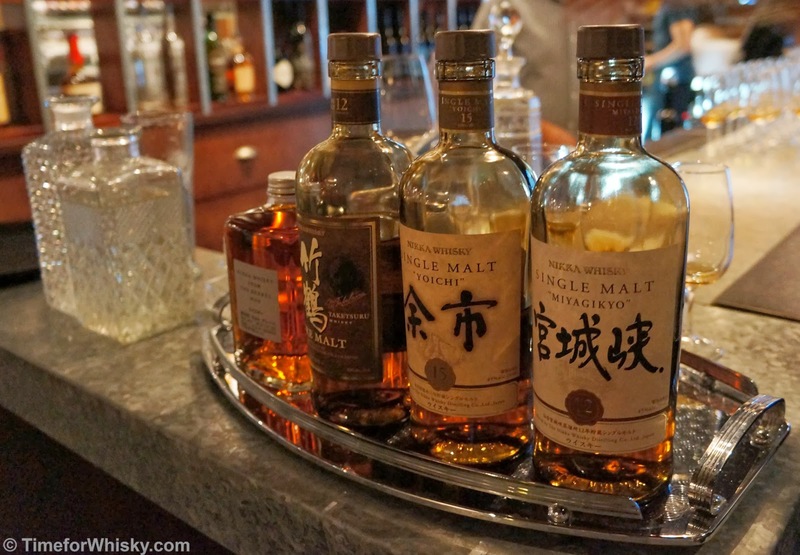 We still got to taste 4 Japanese whiskies, 1 of which I hadn't tried, and 3 of which Steph hadn't. Nose: Vanilla, Bourbon-like, but also floral. Palate: Oats, spice, vanilla and caramel. Finish: Short, slightly salty, with final floral notes and pear. 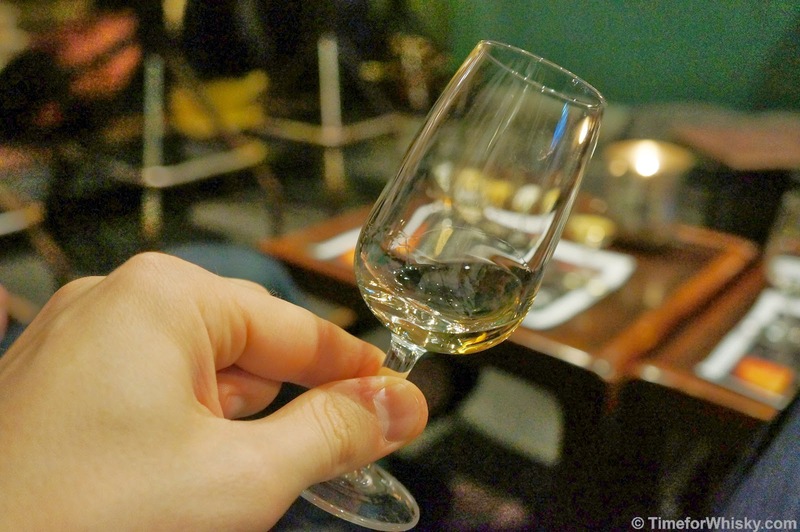 Nose: Bigger darker, more spice and more saltiness than the previous dram. Palate: Big rich oily mouthfeel - big notes of chocolate eclairs. Finish: Short, spicy, not a huge amount going on, but pleasant enough. Palate: Light and floral, reminded me of a Springbank. More apples. Finish: Over so quickly I could barely take notes. Way too short. Overall: 89/100. Not dissimilar notes to the last time I tried it. Nose: Vanilla protein powder, coffee creamer. Palate: Spicy cinnamon, grains, big and mouth filling. Overall: 90/100 - still probably my favourite of the night, but not as good as I'd remembered it. I'm sure everyone has heard about this now, but Tasmania Distillery's Sullivans Cove French Oak recently won the "world's best single malt whisky" at the 2014 World Whisky Awards (it certainly seems the eBay community has, with Sullivans Cove French Oak bottles going for $400+ at the moment, even those not from the winning cask HH525). While the winning whisky was from a single French Oak cask (HH525), which produced only 516 bottles, it seems the world has gone mad, snapping up any and all French Oak Sullivans Cove whiskies available. Sullivans Cove isn't my personal favourite Tassie whisky (that would go to Overeem on the OB front, and Heartwood on the IB front), but it has to be said - this is a huge achievement, and one which has really put Aussie whiskies on the world map. Credit where credit's due too - Tasmania Distillery have put in a huge effort over many years to spread the word about their whisky (it's still the most commonly-sighted Aussie whisky in my International travels), so it's great to see their hard work pay off. Well done. Said to have "creamy vanilla sweetness" with a "dark mocha coffee side"
The name comes from the Golden (Auri) whisky and the Green (verde) bottle, which also ties in nicely with the Soccer theme, given this year's World Cup is set in Brazil. We can't wait to see what Ardbeg have in store for us on the 31st, although I imagine there may be a few soccer balls (and a sea of Ardbeg) involved! 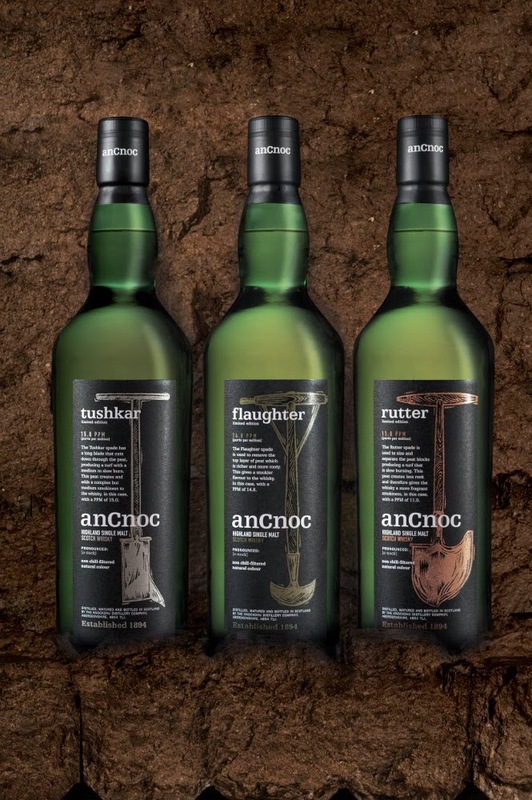 anCnoc releases the "Peaty Collection"
Staying on the peat train, the Highland distillery of Knockdu has just announced a the release of a trio of (pretty stunning looking) bottles as part of their new "Peaty Collection". Further information on the range can be found here. No word yet on Australian availability or pricing. Back in December, I was lucky enough to tour the New World Whisky Distillery (purveyors of Starward Whisky) and especially lucky to taste a few single cask samples. 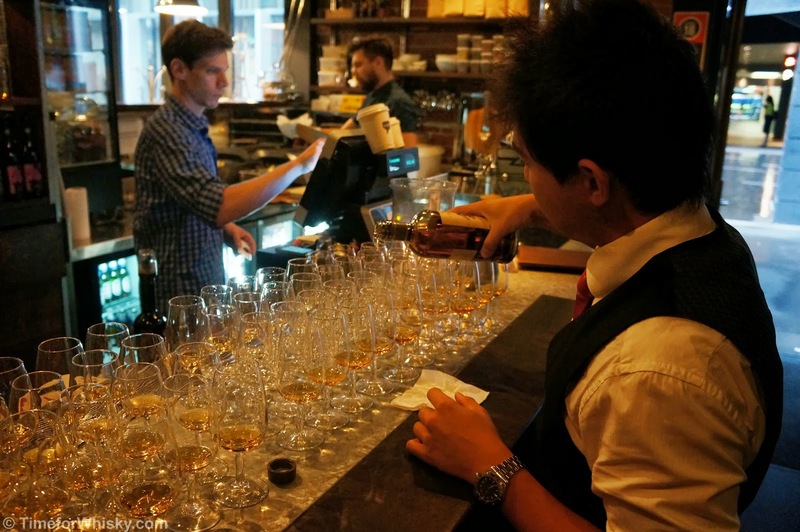 At the time, there was only one Starward release (this one), however after no doubt realising they were onto a good thing, the distillery invited representatives from four Australian whisky establishments (Whisky+Alement, Oak Barrel, Baranows Lounge and Nicks/Vintage Direct) to select a cask, to be bottled and sold only through those venues. While those in Melbourne have been lucky to taste the whisky already, those of us in Sydney will have to wait a few more weeks. 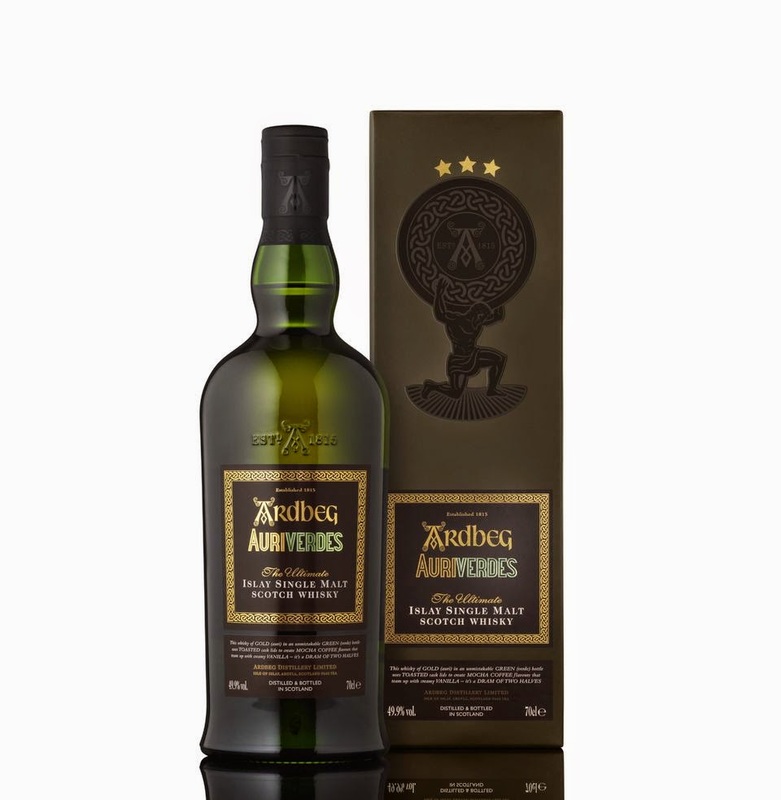 The bottlings (officially released on 7th May) will sell for $100 (RRP), a bargain for such a rare, cask-strength bottling, and will no doubt sell out quickly.